That was the theme made obvious if you were one of the more than 185 people who attended Brainsmart, the JSA annual Spring Forum, on April 22 at Beth Israel synagogue. Forum Chair Jennie Virtue, enthusiastically welcomed the crowd, mentioning the many and varied accomplishments of JSA and extolled the qualities of its president, Serge Haber. Dr. Jean-Francois Kozak, is Co-Director of the Primary Care of the Elderly Research Group at Providence Health Care and a research faculty member at UBC. Past Director at CT Lamont Centre for Studies in Primary Care of the Elderly and Director of the Clinical Epidemiology Unit (University of Ottawa). Current research is in the areas of dementia, chronic disease management, medication, and evaluations of health service delivery as related to the elderly and disabled. Currently co-lead of a project with Northern Health Authority and UNBC exploring how seniors in northern and rural BC can be maintained at home through non-medical support. 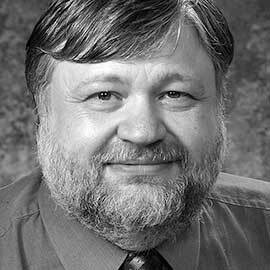 He has served on numerous national and international committees related to seniors’ health and is the past recipient of the “Award for Significant Contribution to Canadian Gerontology”. 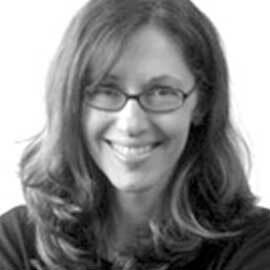 Franca Temolo-Jones, is the Executive Director of Elder Therapy Design. Franca is a writer who has worked with seniors as a certified recreational therapist for more than 20 years. Her work has included designing cognitive games and therapies for all levels including Alzheimers. Her most recent game, Reach, is used in many facilities across Canada and the United States. Her goal is to uplift the spirit through connection and laughter and satisfy that fundamental need we all have for belonging. Allan O’Meara, MD, FRCP(C) is a laughter coach, therapeutic clown, certified yoga instructor, and a pioneer in the worldwide Laughter Yoga Movement. He has been deemed Laughter Ambassador of Canada. 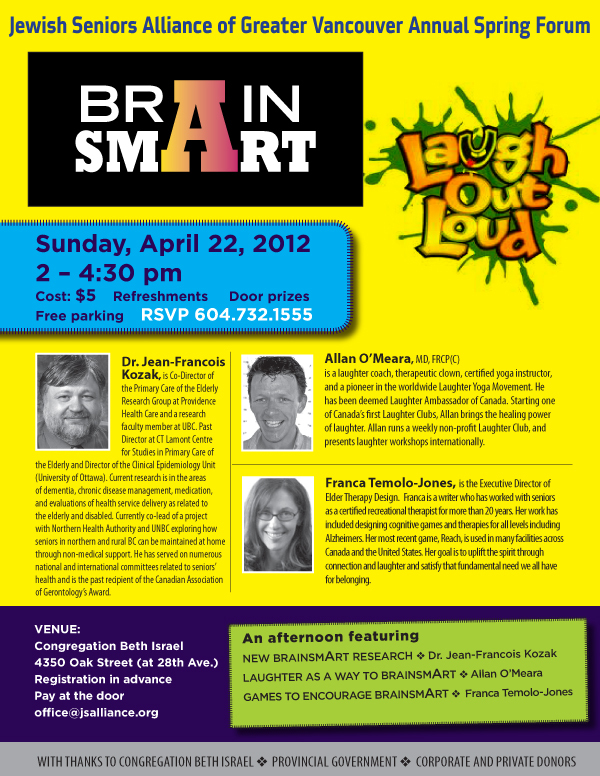 Starting one of Canada’s first Laughter Clubs, Allan brings the healing power of laughter. 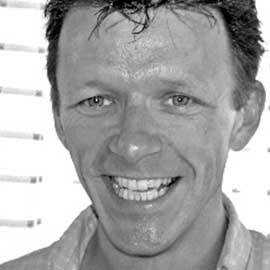 Allan runs a weekly non-profit Laughter Club, and presents laughter workshops internationally. co-director of the Primary Care of the Elderly Research Group at Providence Health Centre and a research faculty member at the University of British Columbia. Dr. Kozak guided us through some of the preventative measures that can be employed to ward off debilitating signs that may accompany our senior years. 1 in 0.615 will develop a devastating and life-altering disease, HOWEVER according to the COCHRANE REVIEW, using mental stimulation, even when we already have mild dementia, and by incorporating challenging and multi-modal exercises using our cognitive and physical abilities we can improve our mental health. These methods can be geared for us personally as long as we include a daily variety. We now know that social interaction plays a key role in warding off dementia and even is the ingredient to lengthening the years we live. He encouraged us all to tune into an easy-to-follow video by Mike Evans, 23 1/2 hours *, which will further ensure our good health in future years. telling us she didn’t know whether his socks were as mismatched as his shoes, which were enchantingly orange and green. Allan had us all spinning, twirling, singing, breathing, and doing laughter yoga, sharing thoughts and holding hands with our neighbours. Peals of laughter rang out through the auditorium proving that feeling silly was FUN! In the reading material that Allan O’Meara left on each table, he stated that the purpose of laughter is to make us feel good, both in mind and body! Research has proven that laughter has a positive impact on various systems of our body and helps to remove the negative effects of STRESS, which has the power to bring on more than 70% of illnesses, such as high blood pressure, asthma, depression, headaches, ulcers, etc. He advocated boosting our immune system through laughter and added that laughing is internal jogging, helping us to maintain internal good health. So, if we were to follow our first two speakers’ regimes, we could be laughing our way through our days happily and pretty much in control of our world. concurred with Dr. Kozak that it is of utmost importance to keep our minds sharp with challenging games, done competitively with friends, or alone, as in watching ‘Jeopardy’ or ‘Wheel of Fortune’. Her game of questions had us all loudly shouting our answers to questions about long ago: jingles; song titles; couples in the entertainment industry; famous lines attributed to actresses. We were eager to prove that our long term memory was intact!! Some participants received a mini Rubik’s cube for the correct answers. Satisfied smiles appeared on our faces as our self esteem soared. It seems that Franca was correct that seniors were the smartest people in the world because they have lived long and experienced much. Jennie thanked all the hard working team of volunteers who had brought this extremely successful forum to fruition, including the Mitzvah Makers and the BI staff. We were all treated to a delicious and healthy assortment of veggies and dip, fruit, and cookies prepared by the Bagel Club. Serge Haber thanked Jennie, nostalgically reminding us that she was there at the birth of JSA and had returned to chair the Forum. We left laughing, feeling sated physically and emotionally and determined to incorporate more laughter into our daily lives. Over the past two decades, extensive research has been conducted all over the world and it has been proved that laughter has a positive impact on various systems of the body. Laughter helps to remove the negative effects of STRESS, which is the number one killer today. More than 70% of illnesses like high blood pressure, heart disease, anxiety, depression, frequent coughs and colds, peptic ulcer, insomnia, allergies, asthma, menstrual difficulties, tension headaches, stomach upsets and even cancer have some relations to stress. Also, it has been proved beyond a shadow of doubt that laughter helps to boost our immune system, which is the master key for maintaining good health. All organs are made of tissue. To keep the organs in good health they need a constant supply of nourishment like proteins, carbohydrates, fats, salts, minerals and vitamins. These come from the food we eat. The supply depends on their quality, the power of the digestion and the absorption of the digestive system. The circulatory and digestive systems must vitamins. These come from the food we eat. The supply depends on their quality, the power of the digestion and the absorption of the digestive system. The circulatory and digestive systems must be efficient for the nutrients to reach all parts of the body. Then oxygen is required for the body’s metabolism to work. To get more oxygen the respiratory system must be in perfect order. The act of breathing is a natural form of massage/exercise for the major digestive organs. The abdominal muscles need to be exercised regularly for this massage to be effective. The act of laughing, e.g. belly laughs and the act of raising ones arms up and taking a deep breath, is what the scientists call ‘internal jogging’. Regular laughing not only strengthens the abdominal muscles and gives a constant massage it holds the abdominal organs in their proper place to ensure digestion and absorption. Laughter is the most economical and easy anti–stress measure. It is a muscle relaxant, expands the blood vessels, and reduces the stress hormones in the body such as epinephrine and cortisol. To reduce stress via other methods takes a lot of mental effort to detach oneself from the physical world. To laugh is a natural process and all the senses naturally and effortlessly combine in a moment of harmony. Laughing drives a sense of well being. 15 minutes laughing in the morning sets you up for the day. Dr William Fry (Stanford University) reckons 1 minute laughing is worth 10 minutes on a rowing machine. This will help sedentary people most of all. e.g. those disabled or in a wheelchair. Modern living is taking a heavy toll on the mind. Depression, anxiety, nervous breakdowns and sleeping difficulties are said to be on the increase. Laughing has helped reduce reliance on drugs and people in India are getting better sleep. 10 minutes laughing will drop blood pressure by 10–20mm. It is not recommended to replace modern medication but it helps. Perhaps the medication can be reduced. Laughter helps the blood circulation and oxygen supply to muscles. Laughter increases the levels of endorphins in our bodies which are natural pain killers. 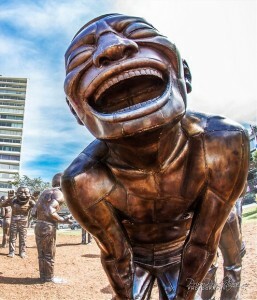 Laughing provides a massage for the internal organs. It enhances blood supply and increases their efficiency. The best effect is to the intestines, it improves blood supply and helps the bowels to move properly. Laughing is excellent for the facial muscles. When you laugh the face becomes red due to the increase in blood supply nourishing the skin and makes the face glow. It squeezes the tear glands and makes the eyes sparkle. Laughter activities and materials are not designed to take you away from whatever healing or health programmes you are on – whether orthodox or alternative. Instead it is meant to enhance and support your own chosen process and growth. In the field of healing there are no guarantees, and there are as many routes to healing and health as there are people. Hopefully, the Laughter activities and materials will inspire and support you in whatever path you choose.